I would like to make a small point here. Kwid gets basic MEDIANAV system and Captur gets MEDIANAV Evolution. Both are not same. Just as in Creta, MEDIANAV Evolution gets audio tuning from Arkamys. Last edited by anilntny : 12th March 2018 at 15:30. - A nice butch SUV look. - The market has moved like Rush mentioned. - Its no more a no-nonsense requirement. The market demands much more at a competitive price point. The Captur seems to fall short on all 3. No doubt it looks nice, but where is that SUV stance of the Duster? And that is where one may not come look at it in contention. I myself have driven a Duster for a lakh km. And may tend to have a soft corner for the Captur. But then question remains, what is the overall bargain that I need to look at. At least for me it still is not a clear solution. Good ride, power and space. Neither Captur (offering), nor Creta (drive/ride) nor the Compass (space) gets me the right answer. Perhaps Creta comes closest in terms of utility and Compass in terms of pleasure. But none gives me the solution I seek! Last edited by ampere : 12th March 2018 at 15:32. Was waiting for this since long. I actually liked the Captur over Creta from a driving feel perspective but the review has called the deficiencies of the product very well and it helps one in making an informed decision. Just had one suggestion. Can we add Scross to the specs data sheet too? There are cars like the the Duster 85, Creta 1.4 and the ecosport and even the hexa & XUV500 in that.Feel that scross is more or less a direct competitor for Captur and it's doing pretty good in sales too now. 3. Showroom staff: I went to the showroom here in Kalamassery, Kochi at 4pm on a Saturday and there was only one single customer around. I was attended to pretty swiftly but then left by myself. The sales associate was not very keen on demonstrating any of the features of the car. I get the 'attitude' during Duster's hay days. But why now, I fail to understand. Renault have got this horribly wrong, right from conception. They refused to learn from what is a clear direction the market is moving. They launched the product with that terrible charade of a campaign, calling on international Kaptur's credentials to sell an entirely different and evidently inferior product. And then, to add to their woes, launched the product on a price-point that leaves little room for consumers to even consider the Captur. Clearly Indian consumer does not rank very highly in Renault's opinion. Duster's inferior interiors have been repeatedly called out on forum after forum. Surely Renault have noticed. And clearly they have chosen to ignore this valid and critical feedback completely. This from a company that gave us the first credible competition to Alto. Last edited by Annibaddh : 12th March 2018 at 17:14. I think the statement "The center fascia is visibly tilted towards the passenger side rather than the driver - again, left-hand-drive orientation:" is not correct. I checked with my car and it is neutral. Great Review! Especially the bits about exposed pretensioner wire and ball joint for Internal Rear view mirror is as detail as it could get. 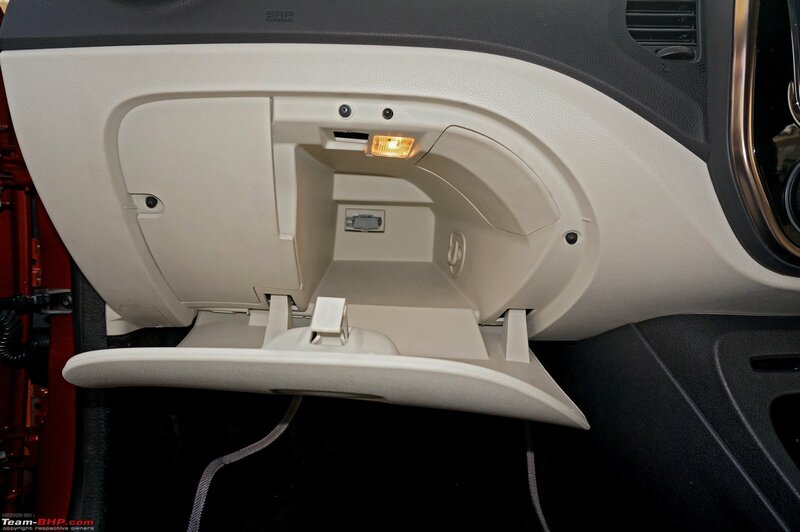 I could already see the QC being botched up since there is a fastener missing in the picture showing the wheel well. I wonder if this is a pre-production version and not the regular line vehicle. In the market position perspective, I think it suffers because it doesn't have a clear USP. It is clear that USP like "Global design" and "Crossover styling" doesn't convert to sales. IMHO had they developed this into a 3 row vehicle, it would have stood a better chance. A premium Lodgy rather than premium Duster would have worked out well, I think. That would have given it an edge over Ertiga and others instead of Creta and Duster itself! By that Renault would have a complete range of family UVs from Kwid+ (Entry) , Lodgy (for fleet and B+ segment) and Captur above them all. The reviews are becoming too detailed to even imagine. Great as usual. If Captur’s fate was a not yet decided debate this review will seal it for sure. 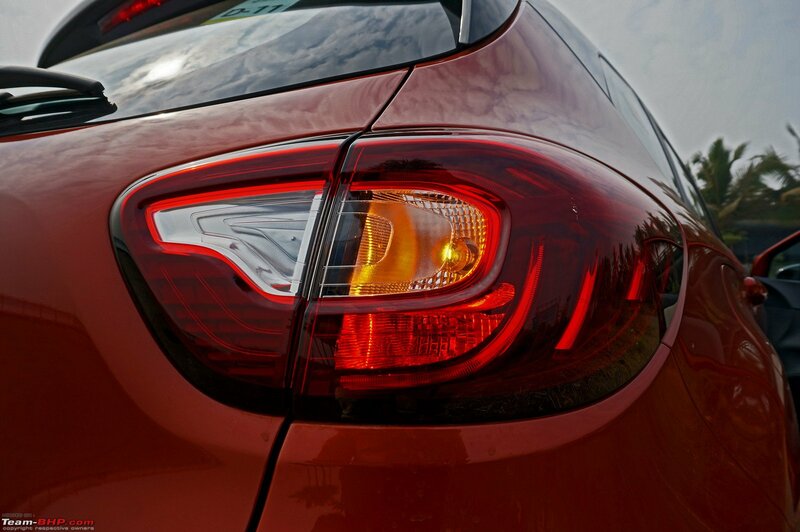 The only course correction for Renault is to swallow the pride and climb down the price ladder. They will need minimum ₹ 1- 2 lakh price cut to capture any meaningful sales. Right now Brezza, Nexon, Ecosport and Creta are too formidable opponents, all doing at least ten times the volume of Captur. Captur will only end up in a death strangle with a lesser price cut. I have an alternate theory on how Renault could salvage this product. Renault may not do it but it is an opinion nevertheless . With our market extremely moving towards SUVish looks, Crossovers are definitely going to lose if priced head to head against them. Impending Duster facelift is looking awesome and will attract people towards it. So bring in Duster facelift early but only in 110PS disguise with AWD et all and better interiors. Make Captur in 85PS disguise alone and pit it against S-cross and price it VFM. Captur's look is definitely better than Scross and would eventually sell more if introduced in that price range. A spacious good looking car that is VFM would become its USP. 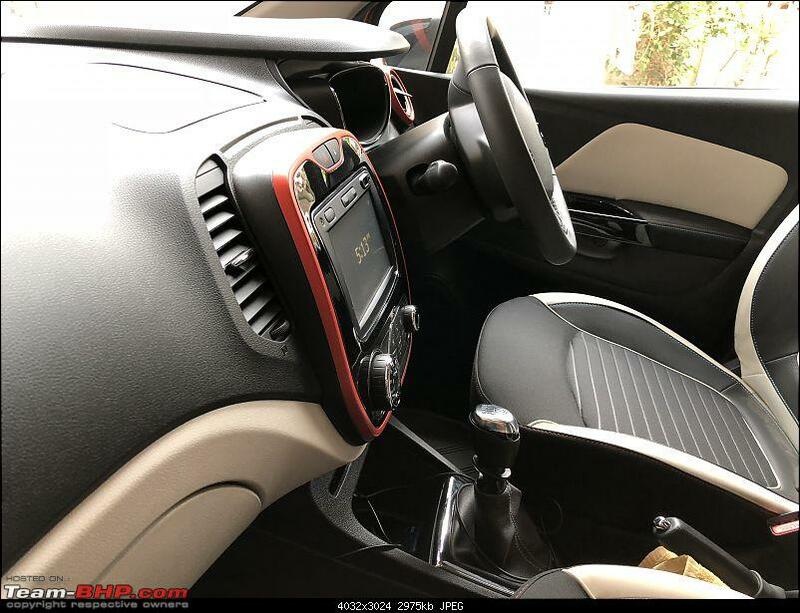 As the interior of Captur is not that premium anyway it can be easily priced at Scross level. Like everyone said, Renault INDIA is going no where with their built-to-cost model in India at exorbitant prices. Duster, the then champ is hardly sold nowadays, Lodgy is unbelievable. Fluence, Pulse and Scala discontinued. Kwid which did spark the initial interest, held longer than expected but off-late people who've owned one, will never recommend it to one anyone just because of the pseudo-premium attitude of sales/service teams. Now with 'Santro' said to come in, the share is furthermore going to be cannibalized. I dint even mention Captur because it never really interested anyone apart from few true Duster fans who were looking out for some refresh and were sorely disappointed. Being an owner of Duster AND Scala, both from Renault, I pledge myself, Never Again! Happy owner of Next gen Verna currently. Captur's look is definitely better than Scross and would eventually sell more if introduced in that price range. A spacious good looking car that is VFM would become its USP. 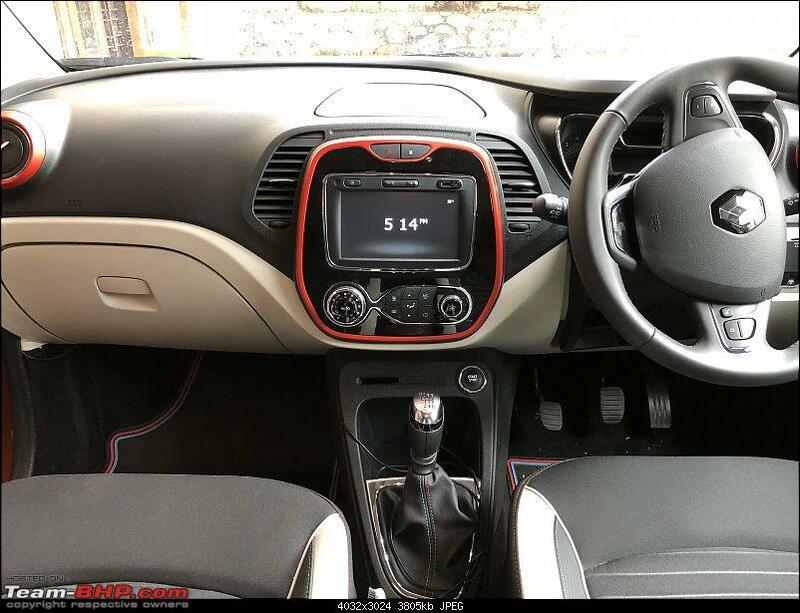 As the interior of Captur is not that premium anyway it can be easily priced at Scross level. Doubt if Captur will sell with the 85 Bhp variant against the scross. The new scross looks fairly aggressive even though it doesn't have the height or the stance of the Captur. It has the Maruti reliability,service backing and mileage too. Not to forget, the captur is pretty heavy and the 85 BHP will not suffice for pulling this car. 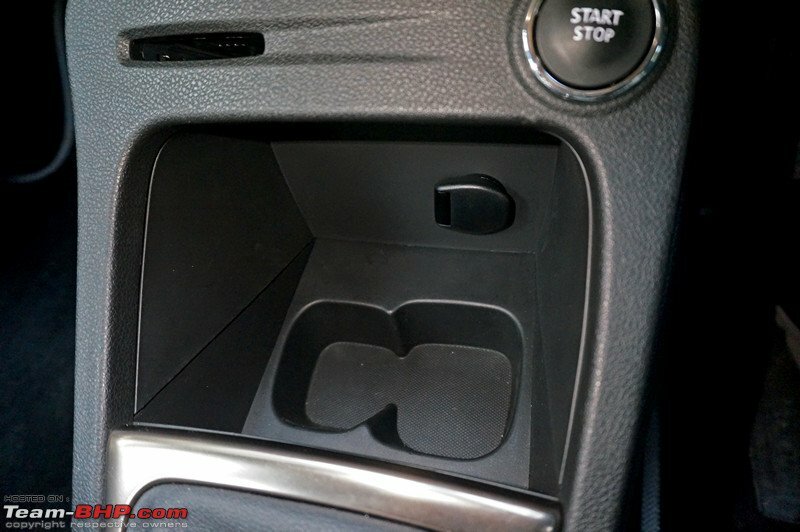 The interior of the scross is ergonomic too. 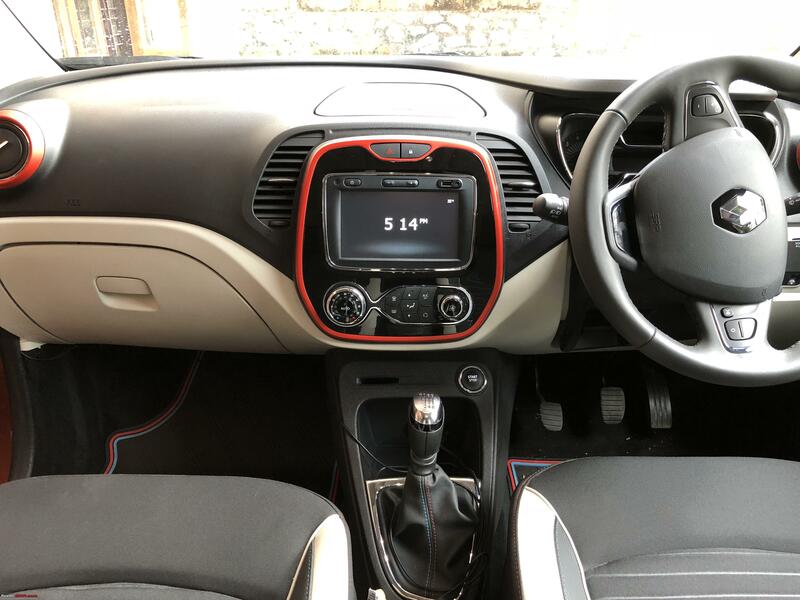 Wonderful review I must say, so much detail, its a joy to witness such attention to details which i am sure many salesman at Renault may not be knowing as well. However, as far as the car is concerned i seriously find it hard to imagine the takers for this car which is in no mans land. The looks are like an overgrown Kwid esp at the back and the interiors still feel kiddish to me compared to the competition. Doesn't seem like an SUV, not like a van, average fit and finish and given the Duster at a better price point it still seems like a better buy though its also struggling owing to its dated looks. Renault will have to work real hard to push sales of this vehicle, no wonder i haven't seen much of these on the roads and i am sure, good discounts are around the corner for this vehicle as well. Come on Renault, i think you could do better than this. Sometimes i feel how can the makers overestimate and not see the plight of their product. Anyways, all the best Renault, feels like just another car to be doomed in India. Great detail in the review. Some of the things you guys catch are quite incredible. Even if I don't read the whole thing, I make sure to read the last few posts. A ~50k difference between the top variants, but if you get a discount from the Hyundai dealer, it's effectively even. That's a flawed argument. In what India will the Creta get a discount and the Captur won't? IMHO, Renault should have launched the Captur as the 'New Duster' out here at the Duster's price point. Brand 'Duster' still commands respect in the market place and its price level would be more suitable for the Captur. Sure, Renault would have to retire the old Duster in order to do this, but anyone would rather have 1 car that sells than 2 that don't. Brand Duster commands nothing, it merely offers recall, although it's quite faded by now (I mean, it sold 750 units in Feb), but it offers recall of a rugged, simple, butch car. Let's flip it and think about if the Duster were to launch now, exactly how it is now, with the same price, would it command "respect"? Would it create a dent, or would it sink like the Captur inevitabley would. The Captur wouldn't work as a Duster replacement at all. As for the price, I'm not sure. It's just a bad product with clear, obvious flaws. Bad products with clear, obvious flaws don't tend to sell, and their sales are generally inelastic to small variations in price. I don't know why many here seem to think so. No they aren't. Creta doesn't look any more SUV-ish than the Captur. Infact, the Captur has more presence. Neither does S-Cross, or CR-V, or WR-V, Nexon, and not even the Tiguan or the Tucson. The Endeavour is far more butch compared to the Fortuner, and so is Hexa as compared to Innova. If the Captur had launched with interiors and ergonomics as good, or better than the Creta with the same exterior and an automatic option it would've garnered quite a bit more attention. 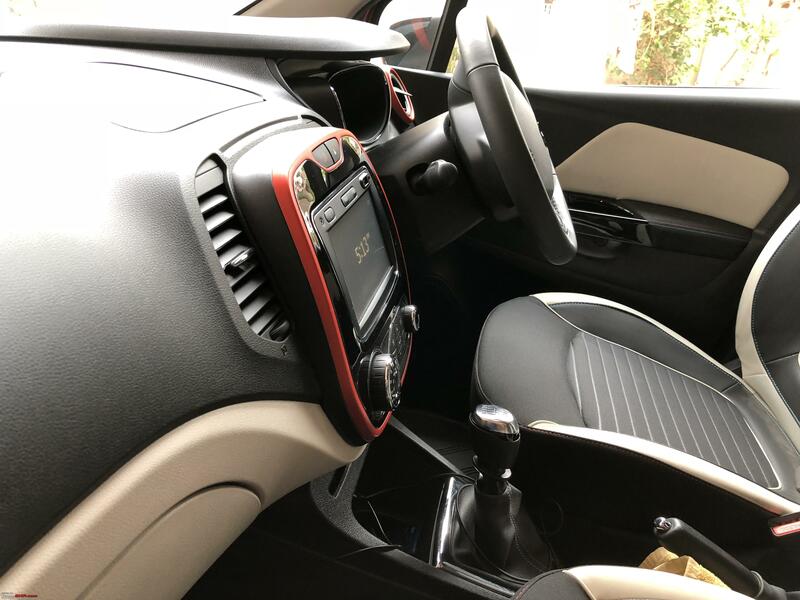 And While Renault are properly capable of offering an auto box on the Captur, they aren't capable of offering better interiors. Last edited by ach1lles : 13th March 2018 at 00:24. Thank you Omkar for an excellent review. Rating 5 stars. Few points, thoughts about the Captur. Is there any other vehicle that is sold here that has these dummy pieces with no wiring on the tailgate? The aftermarket modders should easily be fixing these. I think even in the European market, these plastic pieces are strictly a design element. The car, after all, is partly French, so these quirks are funny. These Sixteen-Segment Display's are so 90's when compared to the dot matrix / multi color display in other cars. I really like it. Crisp and to easy to read. The start stop button placement is very unconventional. Usually, these are in the steering column. A kid or a passenger can long press this button to stop the car while the car is in motion. Not very nice, especially, as the steering locks up when the car is switched off. What is behind the portion on the left? Really intriguing. I think it may be the interior fuses. If not the fuses, where are the interior fuses? Although I am very happy that Renault is trying to introduce new models into India, I feel that the Captur is very very out of place. Firstly I'm not a fan of the fact that they didn't even bother changing the power out put of the engine , I haven't driven the car but I can imagine they drive very similarly. Secondly the bells and whistles that this car has should have been originally present in the Duster to make it a great competetor against the Creta.